The decision to get a divorce has potentially far-reaching repercussions. In the time immediately following a divorce, most adults are focused on financial issues, the well-being of their children, and adjusting the realities of managing a household with a single adult head. Unfortunately, some individuals are later unpleasantly surprised by unanticipated tax problems they experience when filing separately for the first time. Being aware of potential tax issues after a divorce can increase your chances of having a smooth filing experience during a notoriously stressful time of the year. Following a divorce, it is not unusual for women to revert to using their maiden last names. The choice may be motivated by personal reasons or influenced by professional concerns. Regardless of the reason for changing a last name, if the name was not changed with the Social Security Administration, there could be issues when the time comes to file your taxes. Using a name that is different than the one registered with the SSA often results in an immediate rejection of a filed tax return. If the name is changed correctly with the Social Security Administration, but is not updated with employers, your tax filing may experience a delay when the Internal Revenue Service (IRS) requests additional information to verify that a W2 is legitimate. Taking care of a minor child throughout the year provides individuals with an opportunity to reduce their tax liability. The care of a minor can reduce the amount of money owed to the IRS, or help an individual qualify for a credit that results in a substantial tax refund. Even if parents have decided who will benefit from claiming mutual children as dependents, it is not unusual for one parent to file their taxes claiming a dependent without the permission of their former spouse. When the other parent attempts to file their taxes claiming the same dependent, their tax return is usually rejected and both are forced to provide the IRS with documentation supporting their claim. The manual review process can take months, creating a great deal of stress for all parties. Maintenance payments that are agreed upon during a divorce settlement carry different tax implications. While child support payments cannot be deducted from taxable income, spousal maintenance payments (alimony) can be deducted. Parents who pay child support to the custodial parent may find themselves paying taxes on money they never see while the recipient does not need to claim the support as income. In contrast, alimony payments help reduce the payees tax liability and must be claimed as income by the recipient. 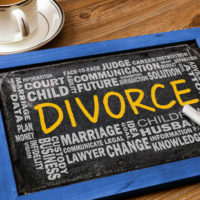 Prior to filing taxes for the first time after a divorce consulting, an experienced divorce attorney is never a bad idea. A qualified attorney can review your divorce agreement and child support arrangements to help you gain a better understanding of any possible tax repercussions you may face. The Mander Law Group is able to help you review your divorce documentation so that you can avoid making any costly mistakes. Contact our conveniently located Dade City office today to schedule a consultation.